In a decision rendered by the Intellectual Property Office of Singapore (IPOS), IPOS has thought different from Apple Inc as it allowed Swatch AG to proceed with their "Tick different" registration. (A) Who are the parties involved in this case? Apple is a Californian technology company founded in 1976. It designs, manufactures, markets and sells various types of mobile communication and media devices, as well as networking solutions and third-party digital content and applications. Its key products include the iPhone, iPad, Mac and Apple Watch. In 1997, Apple launched a wildly successful advertising campaign called “THINK DIFFERENT” which paid tribute to important historical and contemporary personalities who dared to be different. Having registered its “THINK DIFFERENT” mark in 1999, Apple had used its mark on the box packaging for its iMac computers sold in Singapore. 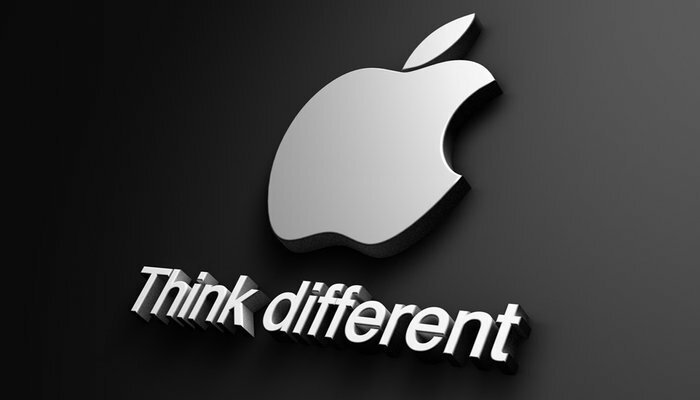 Apple has also registered the “THINK DIFFERENT” mark in a handful of other countries and regions, including the United States of America, the European Union, Japan and South Korea. Swatch is well established in the watch industry, incorporated in Switzerland but having a worldwide presence. Its corporate group – the Swatch Group – owns a stable of Swiss watch brands such as Swatch, Omega, Tissot, Longines and Rado. Swatch’s products were first launched in 1983 it has since met with success through the years. The Swatch Group has distribution subsidiaries worldwide in Europe, the United States of America, the Middle East, Africa, Oceania and Asia. Swatch filed two applications (“the Applications”) to register the trade mark “Tick different” in Singapore. The Applications were accepted and published on 11 March 2016 for opposition. Apple filed its Notices of Opposition to oppose the Applications on 11 July 2016. The Opponent relied on Sections 8(2)(b), 8(4), 8(7)(a) and 7(6) of the Trade Marks Act (Cap 332. 2005 Rev Ed) (“the Act”) in its opposition to the registration of the Applicant’s mark. (C) What is/are the issue(s) in dispute? The Opponent contended that the Applicant’s registration of their “Tick different” mark should be refused due to similarity with its earlier mark ‘THINK DIFFERENT’ registered in Class 9 in 1999 on the basis of Section 8(2)(b) which prohibits the registration of a mark which is similar to an earlier mark, registered in respect of identical goods or services and where, because of this, there exists a likelihood of confusion on the part of the public. The Opponent further contended that the Applicant’s mark should be refused under Section 8(4) on basis that its earlier mark was well-known in Singapore and that the similarity of the Applicant’s mark would indicate a connection between the goods and services associated with the two marks and such is likely to damage the interests of the Opponent. Finally, the Opponent also submitted that the mark should be refused on grounds of passing off and bad faith. The Hearing Officer found that the two marks are more dissimilar than similar visually, aurally and conceptually. With regard to identical or similar goods, the Hearing Officer found that it was not established in this case. Further, the Hearing Officer found that there would not have been a reasonable likelihood of confusion even if the marks were found to be similar. The ground of opposition under Section 8(2)(b) therefore failed. For the same reasons found in her analysis under Section 8(2)(b), the Hearing Officer found that the whole or essential part of the Applicant’s mark is not identical with or similar to the Opponent’s mark under Section 8(4). Since the Opponent has not satisfied the essential element of marks-similarity, the remaining elements need not be considered. Made in passing however, the Hearing Officer noted that although the Opponent’s mark could enjoy a high degree of recognition in its home country, it has not led her to see how that translates to the public in Singapore. As such, the Hearing Officer found that there are doubts whether the Opponent’s mark is well known in Singapore. The ground of opposition under all three limbs of Section 8(4) therefore failed. Since the Applicant’s mark was found to be more dissimilar than similar to the Opponent’s mark, misrepresentation cannot be established. Consequently, if there is no misrepresentation, the requirement of damage in a claim of passing off cannot be made out, whether or not the element of goodwill has been demonstrated. With regard to bad faith, as the Hearing Officer had no finding in marks-similarity and likelihood of confusion nor misrepresentation, she struggled to see how there is any benefit to be had from riding on Apple’s goodwill and reputation and from any favourable association with Apple or the “THINK DIFFERENT” mark. As such, the Opponents failed on the grounds of Section 8(7)(a) and 7(6). (iii) whether there exists a likelihood of confusion because of either the similarity of marks and/or goods/services. The Hearing Officer took further notes from Staywell that in assessing the marks for similarity, (i) the assessment of marks similarity is mark-for-mark without consideration of any external matter; and (ii) the marks are to be compared for visual, aural and conceptual similarities. Additionally, the Hearing Officer noted from Hai Tong Co (Pte) Ltd v Ventree Singapore Pte Ltd  2 SLR 941 that (i) the marks are to be compared “as a whole”; (ii) the two marks should not be compared side by side and examined in detail for the sake of isolating particular points of difference since the average consumer has imperfect recollection; and (iii) the marks are considered from the viewpoint of the average consumer – a person who would exercise some care and a measure of good sense in making his purchases – not an unthinking person in a hurry. The Hearing Officer considered firstly whether the Applicant’s mark was visually similar to the Opponent’s mark. She noted that the main visual difference between the two marks lies in the first word of each: “THINK” and “Tick”, and that there is a minor visual difference in that the Opponent’s mark is in upper case while only the first letter of the Applicant’s mark is in upper case, the remaining letters being lower case. The Hearing Officer further noted that the extent of the difference in word length may not be immediately obvious to an average consumer but it would be clear on a casual visual perception that, in general, the “Tick different” mark is shorter than the “THINK DIFFERENT” mark. Further assessing mark similarity, the Hearing Officer factored in “distinctiveness” of the marks and decided in considering the inherent distinctiveness of the Opponent’s mark rather than acquired distinctiveness. She was persuaded that, visually, the Opponent’s mark is of a normal level of technical distinctiveness and therefore enjoys (only) a normal threshold before a competing mark would be considered visually dissimilar to it. As to the Opponent’s argument that the difference between “THINK” and “Tick” lies only in the replacement of the letters “H” and “N” with the letter “c”, she is not persuaded that the average consumer in Singapore would visually analyse the marks in cold, clinical, bean-counting manner. In this case, the Hearing Officer is persuaded that the Applicant’s mark has distinguished itself sufficiently and substantially from the Opponent’s mark based on a normal threshold and found that the competing marks are visually more dissimilar than similar. Moving on to aural similarity, the Hearing Officer again assessed the technical distinctiveness of the Opponent’s mark. She found that aurally, the Opponent’s mark possesses a higher than normal level of technical distinctiveness, though not to a very large extent. As such, the Opponent’s mark enjoys a higher than normal threshold before a competing mark would be considered aurally dissimilar to it. As for “distinctiveness” in the sense of whether the respective marks contain distinctive and dominant components, the Hearing Officer found that the “THINK DIFFERENT” mark does not have a distinctive and dominant component. Rather, the Opponent’s mark makes an impact as a whole. The Hearing Officer noted that the natural rhythm of both marks is such that when they are articulated, the first word and syllable corresponds to a beat, and the second and third syllables make up the next beat. As such, the first syllable is aurally more impactful as it comes first and as a syllable, is longer, having one full beat compared to the second and third syllables which share a beat. The Hearing Officer found that arguably, the aural differences in the respective first syllables could be more significant to the average consumer than the aural commonality in the word “different”. She further recognized that “THINK” and “Tick” could sound slightly similar when pronounced by the average consumer, but the two words are ultimately different due to the middle of the sound which is not likely to be slurred. Overall, the Hearing Officer was persuaded that the competing marks are more aurally dissimilar than similar, notwithstanding that the Opponent’s mark possesses a higher than normal level of technical distinctiveness. However, she did highlight that this dissimilarity is to a lesser extent than the visual and conceptual dissimilarity of the marks. In assessing the technical distinctiveness of the Opponent’s mark from a conceptual perspective, the Hearing Officer accepted the Opponent’s point that the grammatical error (in “THINK DIFFERENT”) of pairing a verb with an adjective (instead of an adverb) is significant but she further noted that instead of interpreting the word “different” as a grammatical error, it is possible to apprehend it as a quasi-noun. Notwithstanding the above, she found that the Opponent’s mark is conceptually distinctive above the normal level and therefore enjoys a higher than normal threshold before a competing mark would be considered conceptually dissimilar to it. Again putting herself in the shoes of the average consumer and considering what the natural conceptual apprehension of the marks would be, the Hearing Officer found that the marks are on the balance, more conceptually more dissimilar than similar, and to a higher degree than the visual and aural assessment. Conclusively, the Hearing Officer found that the competing marks are visually more dissimilar than similar; aurally more dissimilar than similar, but to a lesser extent than visual and conceptual similarity; and conceptually more dissimilar than similar, to a greater extent than visual and aural similarity. Given that the similarity of the competing marks is a threshold requirement that had to be satisfied before the confusion inquiry is undertaken, the finding of dissimilarity between the two marks is sufficient for the Hearing Officer to dispose of the ground of opposition under Section 8(2)(b) in the Applicant’s favour. Under Section 8(4), the preliminary element to be satisfied is that “the whole or essential part of the trade mark must be identical or similar to an earlier mark”. If this element is not made out, the ground of opposition under any limb of Section 8(4) will fail. Despite her observations that the language of Section 8(4) on marks-similarity is worded differently from Section 8(2)(b), the Hearing Officer referred to the High Court decision in Rovio Entertainment Ltd v Kimanis Food Industries Sdn Bhd  5 SLR 618 that the similarity analysis is nevertheless the same. Having found in her analysis under Section 8(2)(b) that the Applicant’s mark is not similar to the Opponent’s mark, the Hearing Officer found for the same reasons that the whole or essential part of the Applicant’s mark is not identical with or similar to the Opponent’s mark under Section 8(4). As such, the ground of opposition under all three limbs of Section 8(4) fails. Section 8(7)(a) provides that “A trade mark shall not be registered if, or to the extent that, its use in Singapore is liable to be prevented by virtue of any rule of law (in particular, the law of passing off) protecting an unregistered trade mark or other sign used in the course of trade. To succeed on the ground of opposition under Section 8(7)(a), an opponent must establish the classical trinity of goodwill, misrepresentation and damage. As the Applicant’s mark has been found to be more dissimilar than similar to the Opponent’s mark, misrepresentation cannot be established here. Consequently, if there is no misrepresentation, the requirement of damage in a claim of passing off cannot be made out, whether or not the element of goodwill has been demonstrated. As such, the Opponent could not succeed on the ground of opposition under Section 8(7)(a). Turning to Section 7(6), it provides that “A trade mark shall not be registered if or to the extent that the application is made in bad faith”. The Hearing Officer noted that although the Opponent contended in their submissions based on its evidence that the Applicant is a “troll” that tries to agitate Apple with trademarks instead of competition, and that the Applications were an act of retaliation by registering the marks to prevent any potential use of any variation(s) of the “THINK DIFFERENT” mark to complement any marketing campaign for the Apple Watch, the Hearing Officer was of the view it is not appropriate to consider these lines of arguments which fall outside the scope of what the Opponent has pleaded above. Further, she noted that although the Opponent’s submissions also made a fresh claim that the Applicant had not demonstrated any bona fide use or intended use of the Applicant’s mark, the allegation of no use nor intention to use was however not pleaded at all. Directing back to the pleaded case, the Hearing Officer found under the grounds of oppositions that there is no mark-s-similarity, and consequently no likelihood of confusion or misrepresentation. Hence, she concluded that it is difficult to see the benefit which Swatch had from riding on Apple’s goodwill and reputation and from any favourable association with Apple or the “THINK DIFFERENT” mark. The Opponent therefore could not succeed on the ground of opposition under Section 7(6). Aside from the above, Apple also alleged (under bad faith) that Swatch was a troll that had tried to agitate Apple with trade marks instead of competition by consistently registering several of Apple’s famous marks and slogans despite it allegedly having no rights or any intention to use these marks, but these allegations could not be considered by the Hearing Officer as Apple did not plead them in their grounds of opposition. © ALPHA OMEGA 2015. ALL RIGHTS RESERVED. Alpha & Omega Law Corporation.